Let’s Build the Currie Museum! Some of you are already aware of the Philip J. Currie Dinosaur Museum, which is scheduled to be built in Grande Prairie, but certainly all of you are aware of Philip Currie himself. As part of the final push to raise the remaining construction funds, we have launched a crowd-fundraising campaign on www.indiegogo.com/curriemuseum. The aim is to raise $1,000,000 in 120 days. In the first hour alone, we raised $1,600! Every donation, no matter how small, is important and donors are rewarded with a range of increasingly cool gifts including a museum logo pin, t-shirts, and original artwork by palaeo-art master Julius Csotonyi. It’s all outlined on the website, so please check it out, spread the word, and help us build a world-class museum and research institute. 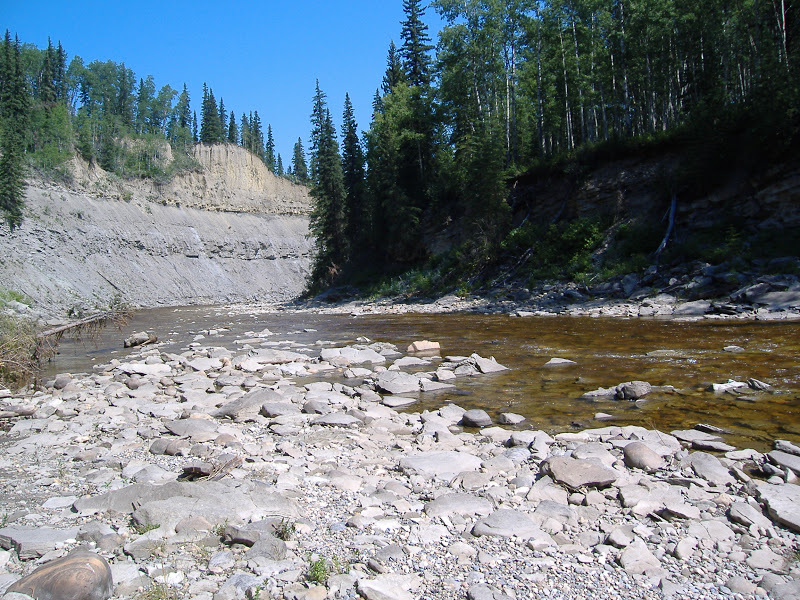 The Philip J. Currie Dinosaur Museum has been working hard to raise funds for the construction of the museum, which will showcase fossils from northwestern Alberta and support research and education on Albertan dinosaurs. They’ve raised $17.4 million of the $30 million needed. Even without a museum building, the crew from the Currie Museum is doing an incredible amount of education, outreach, and research. Just last week, Phil visited the University of Alberta to CT scan a hadrosaur with skin impressions from Red Willow Creek. But it can only continue if the museum is funded and built. Please support the museum – they are good folks up there, and every little bit helps! 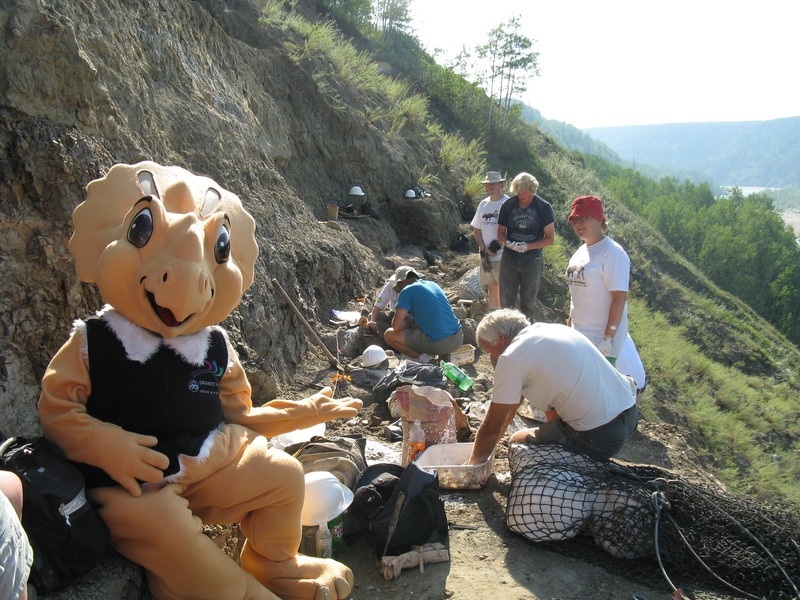 Aluk the Pachyrhinosaurus visits the Wapiti River Bonebed in 2009. Hadrosaur mummies have been collected along Red Willow Creek. 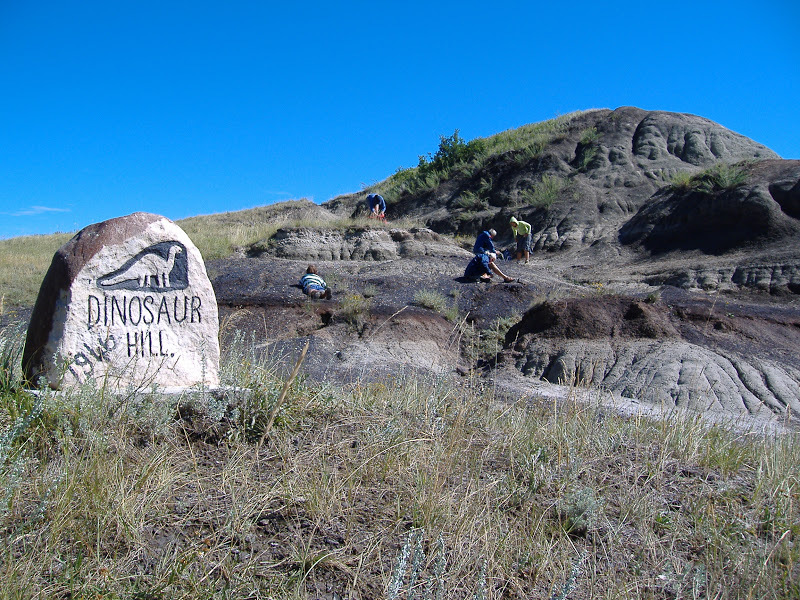 New fossil lizards have been described from Kleskun Hills, the northernmost outcrops of badlands in Alberta. 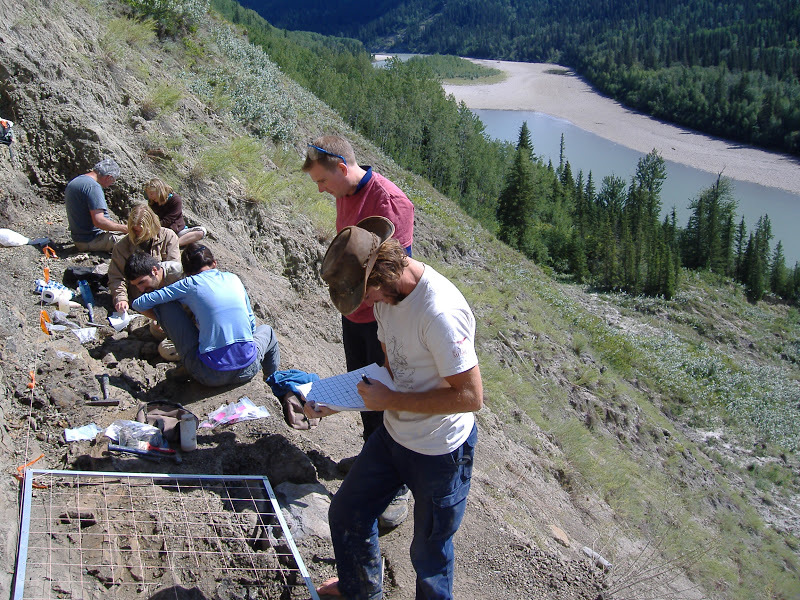 The Wapiti River Pachyrhinosaurus bonebed has been excavated each year since 2007. We’re still preparing material from that bonebed in order to figure out which species of Pachyrhinosaurus we have!